Summer is now in full swing in the mountains. With the warmer weather comes lush green foliage and an uptick in outdoor activities. This coming weekend, those activities include outdoor concerts, dining, adventures, and athletic competition. 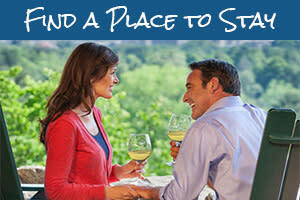 So, this Friday through Sunday, step out and explore all Asheville has to offer! Eleven-time Grammy-nominated singer-songwriter Jamey Johnson performs under the stars at New Mountain’s outdoor amphitheater. The Washington Post has called Johnson “one of the greatest country singers of our time.” His hits have included, “Give it Away” and “In Color.” Tickets are $45. Grandfather Mountain comes alive with the largest gathering of Scottish clans in the world! Scots dressed in brightly-colored tartans are joined by musicians on the bagpipes and kettledrums. At the heart of this festival is the athletic competition. Top athletes from across the nation travel to compete in traditional games similar to ones played by Celtic tribes for centuries. The Asheville area is home to hundreds of waterfalls and recent rain has helped enhance their beauty. 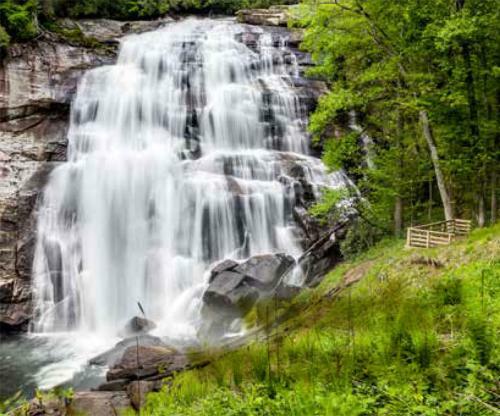 We have a list of 10 area favorites, including popular waterfalls at DuPont State Forest and Pisgah National Forest. 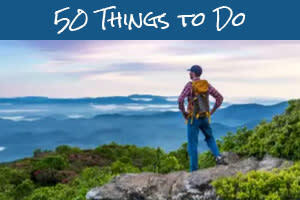 While most of these require a hike, there are some waterfalls you can enjoy from the road! For those who are a bit more adventurous, try the canyoneering experience with French Broad Adventures. Experts will strap you into safety gear and guide you to the river bed. You can rappel down a rock face to the base of a waterfall. This kind of adventuring should only be done with a professional guide. For your safety, remember when at a waterfall, do not climb the rocks around the falls or climb on top of a waterfall. Who has the best burger in Asheville? Sample burgers from Western North Carolina’s best chefs as they grill up sliders alongside the French Broad River at Salvage Station. Josh Phillip’s Big Band and other local acts take the stage. The event helps raise money for Open Hearts Art Center. General admission is $5. 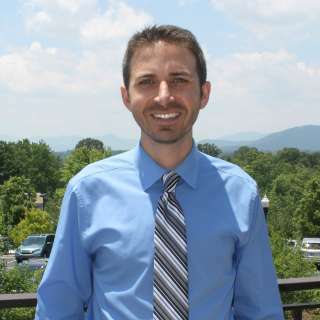 Asheville is expecting nice weather this weekend, especially on Sunday. So, it&apos;s a great weekend for enjoying a meal or favorite beverage on the patio of a local restaurant or bar. 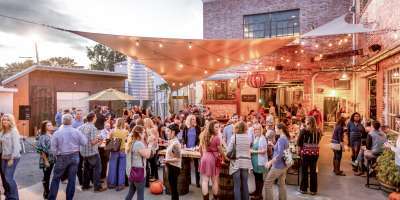 We recently polled our Visit Asheville Facebook fans about their favorite patio in town. 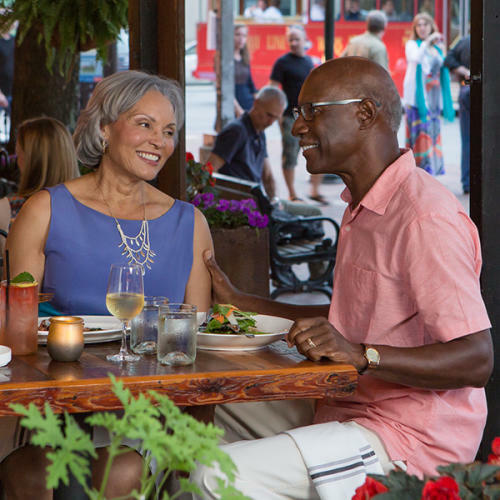 See which spots made the list and learn about the newest outdoor dining spaces to explore. Photo credits: Top photo by Art Meripol. Waterfall photo by Hugo Gutierrez. Outdoor dining photo by Steven McBride.